Want to add your name to the Birthday Board? Click here to download the Birthday Board form! Names will be recognized for one day on the birthday board. 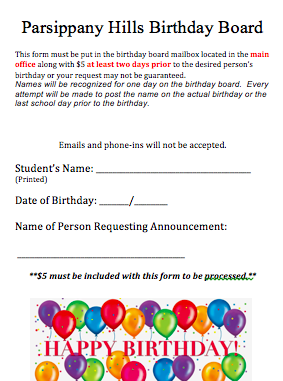 Every attempt will be made to post the name on the actual birthday or the last school day prior to the birthday.